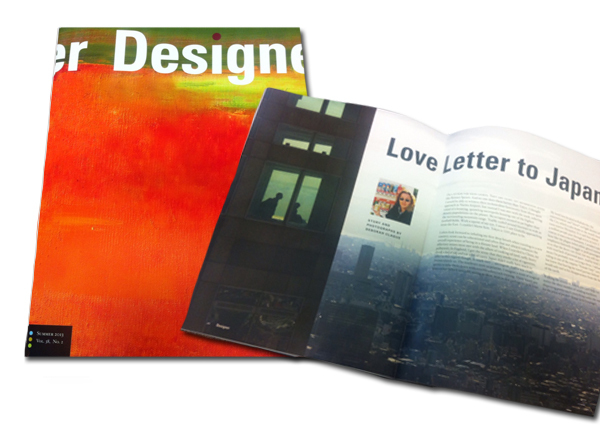 Check out the Summer 2013 issue of Designer to read an article I wrote on finding creative inspiration in Japan. Also includes a portion of my portfolio featuring one of my favorite cities in the world, the neon safari otherwise known as Tokyo. Enjoy!